Jack Wilshere has called for the Gunners to be more intelligent against reigning European champions Bayern Munich, and is hoping they can shut out Pep Guardiola’s side. 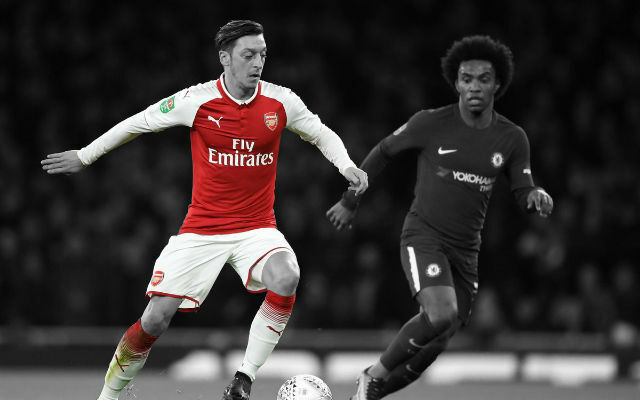 Arsenal faced the Bundesliga giants last season and put themselves on the back foot with a 3-1 loss at Emirates, they almost over turned the deficit with a 2-0 win at Allianz Arena in the return leg, but their initial loss was too difficult to overturn. Wilshere knows full well the attacking threat Bayern possess, and the midfielder feels a goalless draw could be a step in the right direction. We have spoken about the importance of staying in the game and if it’s 0-0 at home, we will still have a big chance to qualify. The away goal is massive in this competition when it comes to these big games and we saw that last year, when we went out on away goals. This year we have to be a bit more intelligent and stay in the game. The Champions League is the pinnacle for any player. This is what we work for every year, to play in these big games. I remember my first test [in this competition] against Barcelona and we won and it is probably the best achievement of my career to date. These are the ones you want to be involved in and we are ready for it. The Gunners certainly appeared tentative heading into the tie last year, however their win in Munich provided the catalyst for their end of season form and new found defensive solidity. Wilshere feels they have come a long way since last year’s loss at Emirates and is hoping their team spirit can make them stronger opponents this time round. I think we were a bit nervous going into the game last year. We lost to Blackburn [1-0 at home in the FA Cup] the weekend before and there was a lot of tension in the stadium. Once we calmed down a bit, we took the game to them and created chances and I remember their third goal was a lucky goal and that killed us a little bit. This year, we need to be intelligent going into the game and we will work on our defensive duties. We have a great defence here. Thomas Vermaelen doesn’t play so we have competition at the back. [Mathieu] Flamini adds a bit of steel in midfield, so defensively we are confident and we have players who can create chances as well. The main thing in this group is the team spirit. We are all friends on and off the pitch and we show that on the pitch, we all want to fight for each other. We realise it has been a long time since we won a trophy, but we have won games this season when we have not played well and shows the team spirit. We have to give our all in every competition. Arsenal must not lose at all costs, if they can somehow keep a clean sheet that would really put them into the driving seat heading into the reverse tie. The Gunners have come along way since last year, that said Bayern have become even more of a force. Wenger will turn to experience to attempt to control the game and possession best they can, so we can expect to see the likes of Rosicky starting over The Ox or Gnabry. Progression is possible but, like Wilshere said, it will take defensive discipline and intelligence from Arsenal.